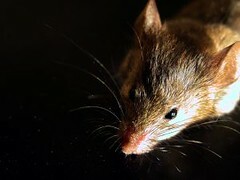 A newly published study by researchers at the McGill University Pain Genetics Lab show that mice are capable of empathy. This study provides evidence that the capacity for empathy is not limited to humans and higher mammals and that empathy in fact may be hardwired into all mammals as a mechanism to ensure that species survive. “Emotional contagion“, the name given by scientists to describe the mouse’s automatic empathetic response to witnessing a fellow mouse in pain, also explains why yawning is contagious.